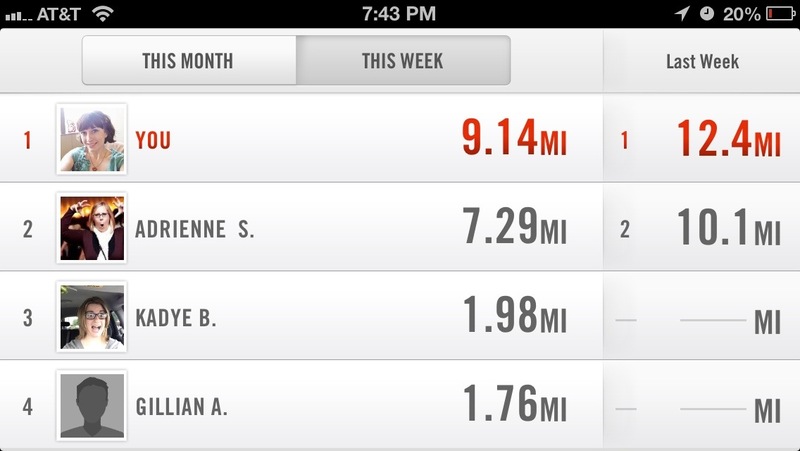 You’ll notice a lot of screenshots from Nike+ on here (although usually from the website and not the app). It’s just so…colorful. That is honestly my favorite thing about it. 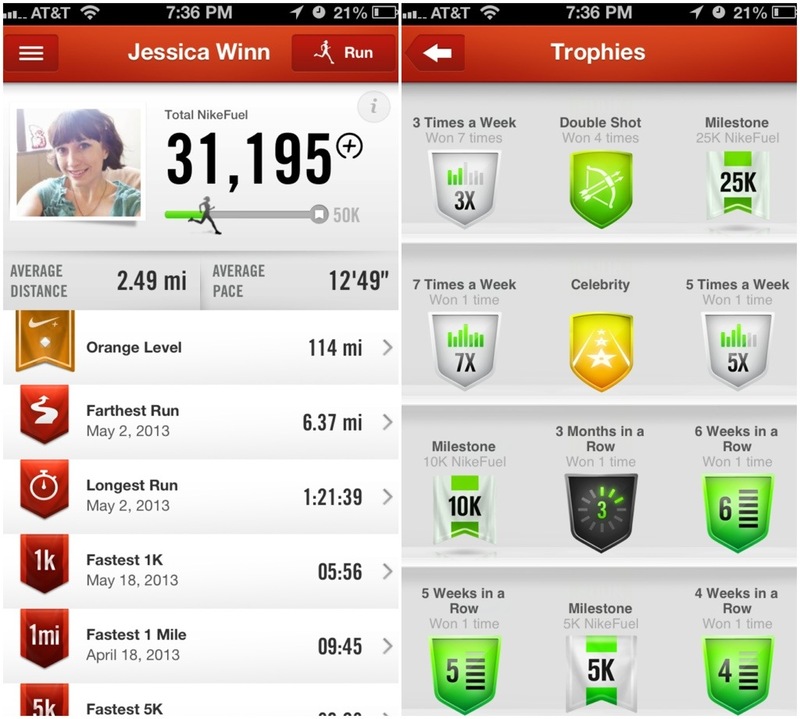 Your profile lists all your PRs and trophies you have received. I love receiving trophies. Getting a 5x a week trophy keeps me motivated to, well, run five days a week. Although sometimes it’s a little buggy and doesn’t award you a trophy when you should have gotten one. This makes me sad. You can find your friends on Facebook and Twitter and then compete with them to see who logs the most miles or runs the most times in a given week or month. My favorite type of competition is with myself, but it is fun to see myself on the top of the leaderboard. You can choose to just go for a run or set up a specific goal, such as an amount of time or a distance. 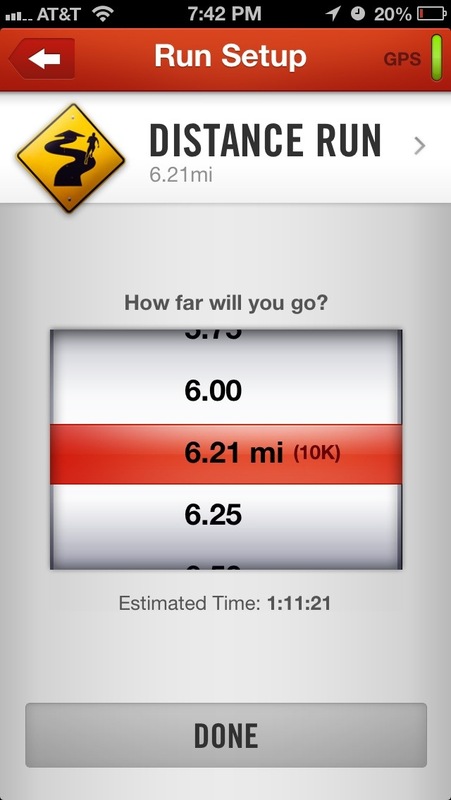 The app will give you your estimated time for a distance and label what your current PRs are. Once you are done with a run, you can choose how good you felt running, what type of surface you ran on, and which shoes you were wearing (so you can track when it’s getting close to retire a pair). The app also color codes your map showing you where you were slow (red) and where you were fast (green). 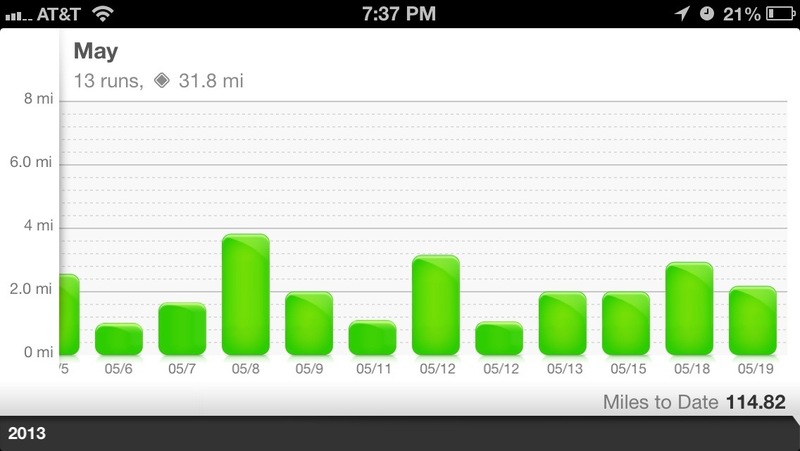 It also has handy graphs that show the distances you’ve run over time. So what do I dislike about the app? While I don’t have many complaints about the app itself (other than the iPhone GPS isn’t always 100% accurate, but this is not app specific), I do have a few about their website. There’s no easy way to import or export run data files, although it is possible through third parties. I use Nike+ as a backup to my Garmin, so if my watch dies while out on a run, I like to be able to export my data from Nike+ to upload to the Garmin site so that it always has a complete record of my running history. I do wish the app showed my elevation and a graph of my running pace (both of these are available on the website; however, I think they do too much smoothing on their pace graph). 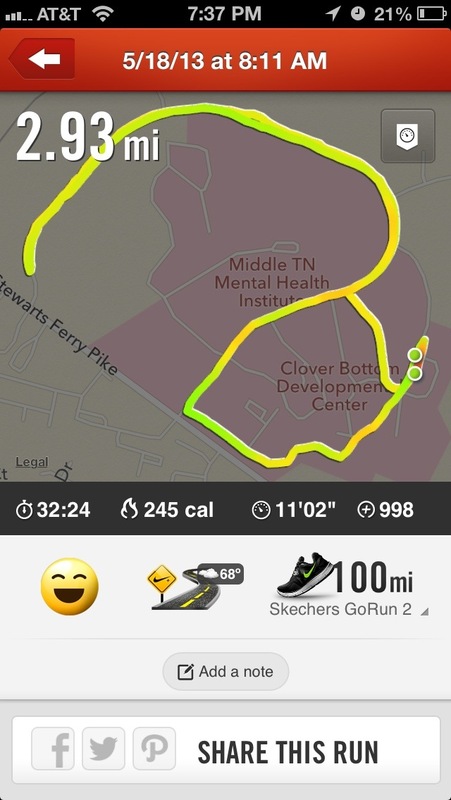 This entry was posted in Gear and tagged iphone app, nike. Bookmark the permalink.